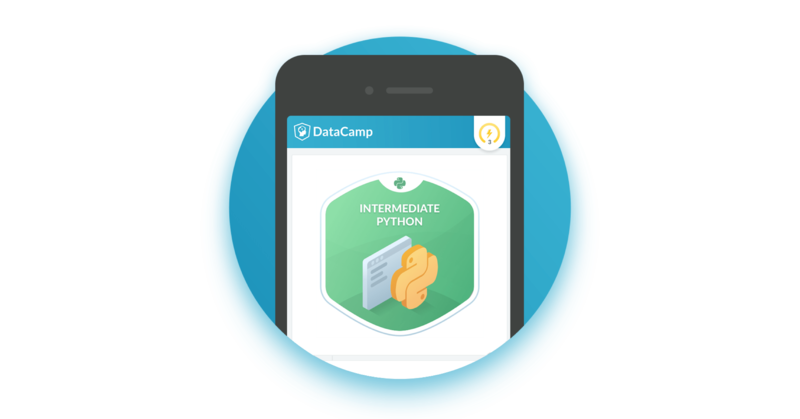 Hello - big announcement today as we've launched two new courses on the DataCamp mobile app! The two courses are Introduction to SQL & Intermediate Python! Both of these courses will teach you vital skills to become a data scientist. Learn to build various types of plots and how to customize them. Learn about dictionaries and how to work with tabular data using the Pandas DataFrame. Learn about different comparison operators, control structures and how to filter Pandas DataFrames. Learn how to execute code repeatedly with for and while loops. Learn how to use random numbers to simulate throwing dice. Master the basics of querying databases with SQL, the world's most popular databasing language. A brief introduction to working with relational databases. Learn how to filter tables for rows satisfying some criteria of interest. Learn about aggregate functions to summarize your data and gain useful insights. Learn how to sort and group your results. You can download the app for free on the App Store and Google Play Store!